In order to better serve our buyers and consignors, we have broken out our Firearms Auctions into 2 categories; Extraordinary and Field & Range. In total, we hold 4 auctions per year split between our 2 firearms categories. These will generally take place in Spring and Fall and will have the finest arms available in the world today. 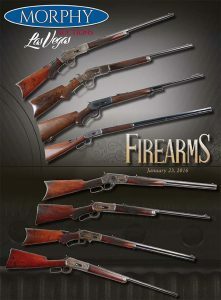 Fresh from famous collections with general appeal to advanced collectors and investors seeking fine and rare guns with values in the $2,500+ range per item. These will generally take place in Winter and Fall. 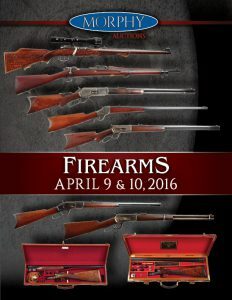 These sales have a vast selection of high quality moderately priced firearms that hobbyists can use and enjoy. Values will generally be in the $500-$3,000 range. 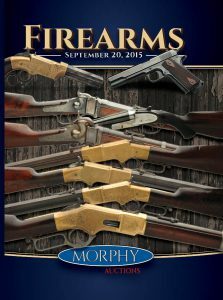 The Morphy Firearms Division can be found at all of the top American and Canadian gun shows plus dozens of regional and specialty collectors shows. Top locations include; Las Vegas, Denver, Louisville, Cody, Ft. Worth, Tulsa, Springfield, Ohio, Reno and Calgary. We have a leading team of niche area experts such as single action colts, Lugers, pre-revolutionary muskets, unusual semi-automatic pistols and sporting arms. Morphy Auctions also partners with Borderview International Firearms Logistics to provide Canadian buyers and consignors of firearms and related items with seamless export and import services. To view more information about our Borderview program, click here. 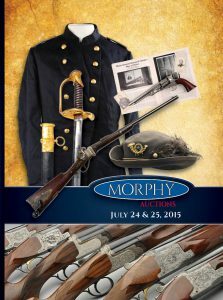 Morphy Auctions offers an exciting opportunity to support Ducks Unlimited Canada. For more information, click here. Brian Estepp joined the Dan Morphy Auctions team as its marble consultant in 2009. His primary duties are to gather consignments for the company, with his specialty being marbles, among other things. Brian also represents Dan Morphy Auctions at shows around the country and provides catalog descriptions and valuations on marbles in all Morphy sales.Brian is well known to marble collectors and has a superb reputation for quality and honesty. Dan Morphy Auctions is pleased to have Brian as part of the team. Watch for him at shows around the country. Dave Bushing joined the Morphy Auctions team in July, 2014. Dave is a veteran gun collector, dealer and authenticator and will serve as the Firearms division expert. Renowned on the gun show circuit, both for his knowledge of out-of-production firearms and his willingness to share information with collectors at all levels. 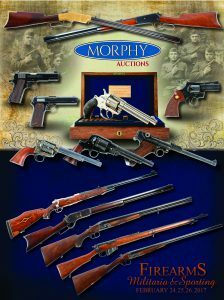 Dave will represent Morphy Auctions at gun shows, obtaining firearms consignments, and authenticating and cataloging all guns prior to our specialty sales. He will also be present at all of our gun previews and auctions, making himself available to anyone who has a question about an auction item and evaluating firearms brought in by collectors or potential consignors. Dave is hugely respected in gun-collecting circles nationwide, and his track record as a gun appraiser is impeccable. We’re genuinely honored that he has joined our team. Tony has been prominent and active in the collectible firearms industry since the 1980s. He attended over 40 national firearms shows each year, is a Life Member of the NRA and owed a retail establishment in the Washington DC suburbs. It is impossible to be an expert at everything, so Tony developed expertise in historic firearms, particularly European and American small military arms from 1840-1950,Winchesters and fine Colts. Recognized for his unique knowledge, Tony has frequently consulted for collectors, museums and business owners around the country. Tony’s primary focus is Colts, Winchesters and 20th Century military firearms. However, with over 30 years with 200 plus days a year on the road attending gun shows, Tony has been exposed to thousands of different firearms and with this hands on experience has a fabulous knowledge of firearms and their market values. Tony also understands the retail side of the firearms business, owning an operating his own gun store in the Washington D.C. area. David, a fourth generation antique dealer and appraiser, has been professionally involved in the firearms industry since 2000. He has been collecting arms and armor since he was five years old and buying and selling as a dealer at shows since he was ten. Today David has special expertise in Kentucky rifles; early French, Indian, English, and American guns; and edged weapons. David will be responsible for identifying and valuing fine arms and armor, cataloging, developing and growing consignment networks, and representing Morphy’s at firearms events nationwide. John leads our BATF compliance efforts as well as being responsible for identifying, evaluating, appraising and cataloging specialty military firearms for auction. He specializes in Class 3 machine guns from the first half of the 20th century. He also has expertise with machine guns from the 1950s onward, as well as last century military firearms. Complementing this encyclopedic knowledge is his understanding of the complex rules and regulations associated with different machine gun classes as defined by the Bureau of Alcohol, Tobacco and Firearms (BATF). As such, he is a huge asset to Class 3 buyers and sellers, able to facilitate and complete transfer forms properly, with extensive experience and expertise in handling transfers from estate situations after the registered owners have deceased, as well as making updates and corrections to the all-important BATF Class 3 registry. Mr. Keene is a retired Army combat veteran who has proudly served our country for over 28 years. Keene was a charter member and officer of the Hiram Maxim Historical Society. Withem received his first gun at age 12. 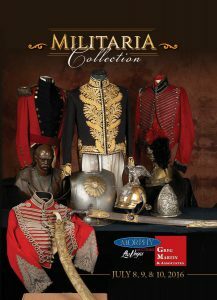 Today, he has more than 40 years of experience collecting, appraising, and buying and selling firearms and sporting collectibles, including WW1 German militaria. Withem has deep expertise with Luger pistols, Winchesters, and Colt revolvers. He has contributed to several published books, including History Writ in Steel German Police Markings 1900-1936 (Thai Watana Press Co., Ltd., 2009); Simson Lugers: Simson & Co, Suhl, the Weimar Years (Brad Simpson Publishing, 2007); and Police Lugers: German Police Lugers and Their Markings 1918-1958 (Golden Belt Printing Inc., 2012) and is currently working on a book about the Colt 1877 DA. Withem is a member of the Winchester Collectors Association and the Colt Collectors Association. Prior to Morphy’s, Withem owned and ran a firearms store in Southern Oregon. A graduate of the University of Maine system, Jeremy brings a breadth of experience to the Morphy’s team. Coming from the James D. Julia Inc. team, Jeremy has been an intricate part of the Firearms Division, working with both consignors and buyers to achieve their goals. Prior to joining Julia’s he was the Senior Sales and Marketing Executive for over 11 years with Shooting Sportsman Magazine and Fly Rod & Reel and has attended many trade and consumer firearms shows around the country, working closely with individual clients and companies. A lover of fine sporting guns and pointing dogs, Jeremy is “hands on” in the field as well. He grew up in a sporting family and to this day can often be found wandering through the mountains or following a pointing dog through the uplands of New England. He is a member of the NRA, Ruffed Grouse Society, American Woodcock Society, North American Versatile Hunting Dogs Association, North American Deutsch Kurzhaar Club, and the Maine Trappers Association. Jeremy is a fully licensed Master Maine Guide for twenty years, a great accomplishment in and of itself. A lifelong firearms enthusiast, Josh began studying, collecting and shooting guns with his father and brother when he was just eight years old. 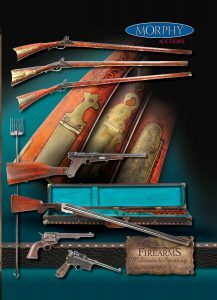 He particularly enjoys American sporting guns including the classic American sporting guns from the Golden Age. Josh is a Life member of the Parker Gun Collectors Association, having served on the Board of Directors as Secretary, and events coordinator. He is a Life Member of the NRA, A life member of the L.C. 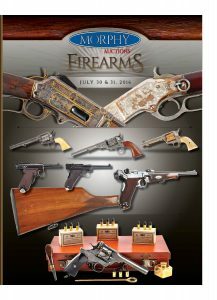 Smith Collectors Association, a member of the Lefever Arms Collectors Association, the Colt Collectors Association, the A.H. Fox Gun Collectors Association, the Smith and Wesson Collectors Association, the German Gun Collectors Association, and the Winchester Arms Collectors Association. Josh has a proven track record in delivering outstanding customer results, as well as sales and marketing success. Prior to joining the Julia Morphy Team, Josh spent 13 years in the life insurance business having sold over $100 million dollars in premium with various carriers, most recently TIAA where he was responsible for life insurance and annuity sales in the Southeastern U.S. He has been a part of the Julia’s and Morphy Team since 2013 and represents clients throughout the country counseling them on their treasured firearms and other assets and has become a trusted expert in helping clients to achieve success in the monetization of firearms at auction.